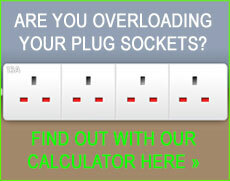 Why to choose us as your local Weybridge & Cobham electrician? When looking for a qualified electrician in Weybridge and Cobham, at DKP Electrics we are regarded as highly professional electricians. We are also a NICEIC approved electrical company awarded with all of the necessary certificates needed to legally carry out electrical work to the highest standard and in compliance with the latest wiring regulations. If you've got any electrical faults that need fixing or anything you're concerned about then there is no better time to address these problems. If you ignore electrical issues, even minor ones, they could escalate into much bigger problems in the future. We offer a 24-hour emergency call out service for any electrical faults and can have a qualified electrician on your door step in no time at all in Weybridge, and many other local areas near Cobham and South West London. As experts in Weybridge and Cobham properties, due to the prestige quality and extreme specifications involved when carrying out work on many of its mansion properties, we've taken our expertise to the highest level on many occasions. dkp Electrics have an expert team of electricians in Weybridge and Cobham who specialize in the more detailed and complicated projects that can arise. Tasks such as laying underfloor heating and in many cases installing CCTV that can be accessed via the internet from your computer or smart phone are all jobs that often need the expertise of a qualified electrician. An additional service we proudly offer at dkp Electrics is energy saving services. If you need to drastically reduce your energy bills or maybe you are interested in having solar panels installed onto your roof? If you require these services then our highly skilled team will be able to assist you with whatever your requirements may be. Taking those preventative measures to decrease energy costs is so important, particularly with energy prices being on the increase. Do not delay, look into how you can save money on energy immediately.